Waiting by the phone: For the first time this century, Airbus has nothing on its calendar. 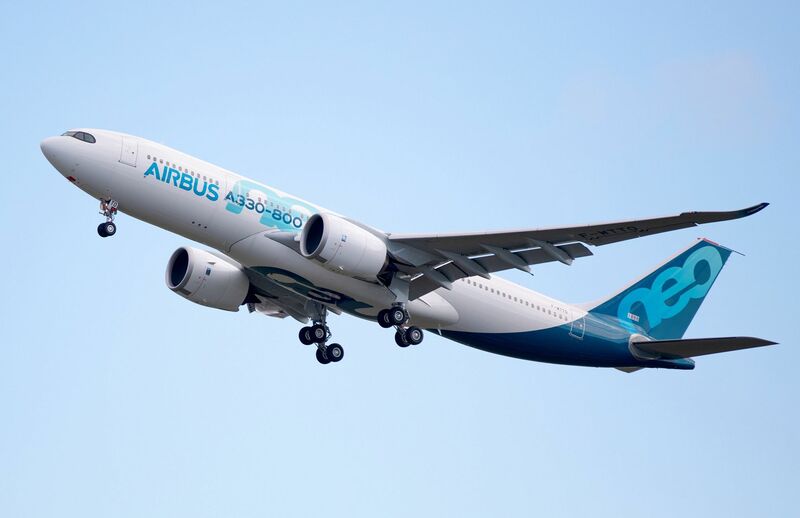 The second of two A330neo models took the sky Tuesday morning in Toulouse and with it cleared Airbus’s flight test calendar that saw a complete revamp of its twin-engine aircraft portfolio over the last nine years. The first A330-800 wrapped its four-hour and four-minute maiden sortie, kicking off a comparatively brief flight test campaign that will lead to the jet’s certification and delivery to (newly-minted) launch operator Kuwait Airways in 2019. It’s been an extraordinarily productive decade for Airbus. Since 2010, Airbus has launched and developed the incrementally-improved A320neo and A330neo families, completed flight test and certification of the all-new A350 (-900 and -1000), and acquired the A220 (-100 and -300) from Bombardier. Huge challenges remain as Airbus works to deliver its mountainous backlog and deliver a verdict on the future of the A380. Airbus has nearly completed its development plans for the decade. No doubt there are concepts on the drawing board, but none yet have been given the full industrial go-ahead. The longer-range A321XLR waits for Boeing’s move on NMA, but Airbus’s 2020s are clear as it picks its priorities — and promotes new leaders — for the next decade. -J.O.